ADDRESS: 2560 Carthage Lane, Tallahassee, FL 32312. Thomasville to Chancellorsville to Carthage. House on right. SQUARE FEET: 2213 sq. ft.
OTHER: Sold before going on the market! 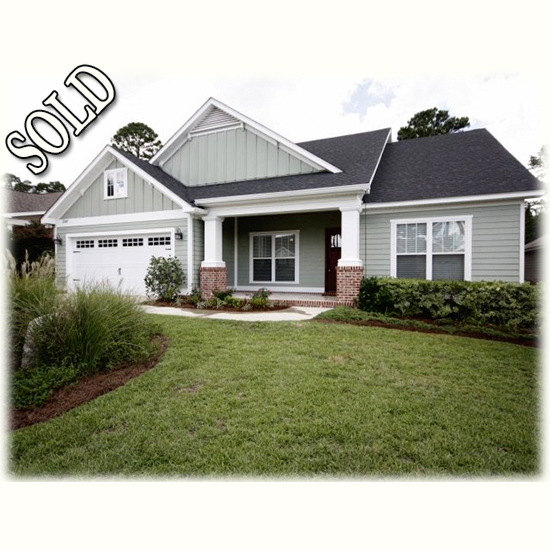 Sold and closed. Not for sale. Gorgeous craftsman style 4/3 in Bull Run. 2011 Parade of Homes model built by Alex Dinkleman. Energy efficient: foam insulation, tankless gas water heater, gas cook top. Granite counter tops throughout-kitchen and all bathrooms, SS appliances in Kitchen, scraped "walnut" wood engineered floors, tray ceilings. Drop zone at inside laundry. Built-ins surround gas fireplace in living room. Super cover porch out back with fenced yard. Backs up to woods. A real beauty! Other room is covered patio.